If you expected an artificial cactus in the corner of the room and bartenders in sombreros with stuck-on moustaches, you came to the wrong place. Instead, marvel at the alternative Mexican movie posters and wrestling heroes that can be found on the brick walls which gives the place a more authentic feel of Mexico rather than the commercialised stereotypes mentioned above. 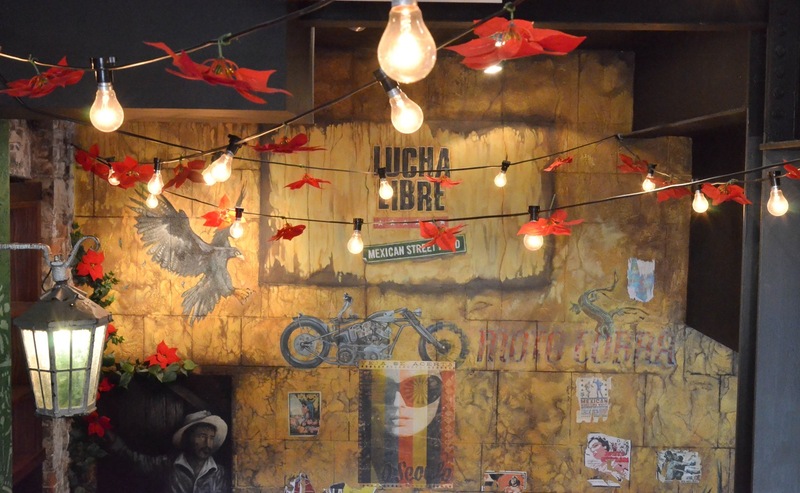 Lucha Libre doesn’t just bring a bit of Mexico to Liverpool’s door step – it jets you off the streets of Liverpool and places you in Jalisco, the city in which Lucha Libre drew its inspiration. War wounds from a petrol bombing before Lucha Libre owned the building can still be seen inside, but in Mexican spirit they have embraced the imperfections and have acclimatized to it by ironically creating a ‘wall of flame’, but if you try any of the devilishly hot sauces, you may find the name ‘wall of pain’ more apt. Tip: to soothe the pain of the hot sauce drink a margarita, and if your friends tell you that you can’t have one as it’s only 12pm, tell them that we said it is the only drink that cures a hot mouth! Other than being a great soother, the cocktail was a fresh citrus burst which were too easy to knock back. We left their very helpful employees to choose our meal for us as our Mexican street food knowledge was nothing to brag about. We were advised to get their famous soft shell Tacos which are at opposite ends of the spectrum to the packets of El Del Paso we were used too. There were four different types of tacos; one which was slow cooked shoulder of pork topped with delectable pickled onions, the second was marinated belly pork with skewered pineapple, the third was a skewered steak with peppers and a spicy chipotle sauce, the final was a veggie favourite, minted avocado with grilled halloumi and pineapple salsa. Lucha Libre proud themselves on their fresh cuisine and just to perpetuate that point further, they have a corner of the dining room with baskets of vegetables in which chef’s come out and pick the fresh produce when needed. All the tacos gave a really authentic experience of what it would be like to be in a actual Mexican street and all the flavours, sweet and spicy, hot and cold were all balanced and executed with a certain finesse. Does that get your taste buds going? 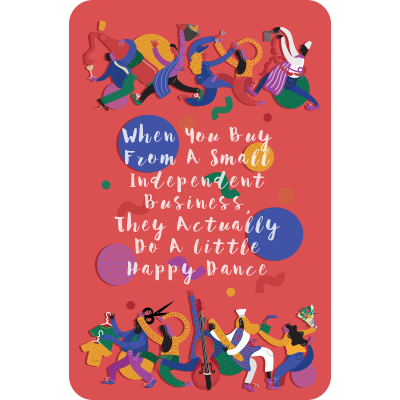 If not, we were also given a mixed grill with fall-off-the-bone slow cooked ribs topped with pico di gio (chunky salsa to you and me), chicken wings coated in a silky home-made BBQ sauce and a chorizo burger oozing with flavour. Just when we thought we couldn’t eat any more, we had a side of house made spicy coleslaw, jalapeno poppers and Lucha-Libre’s version of patatas bravas which were all of high quality and ideal spice. 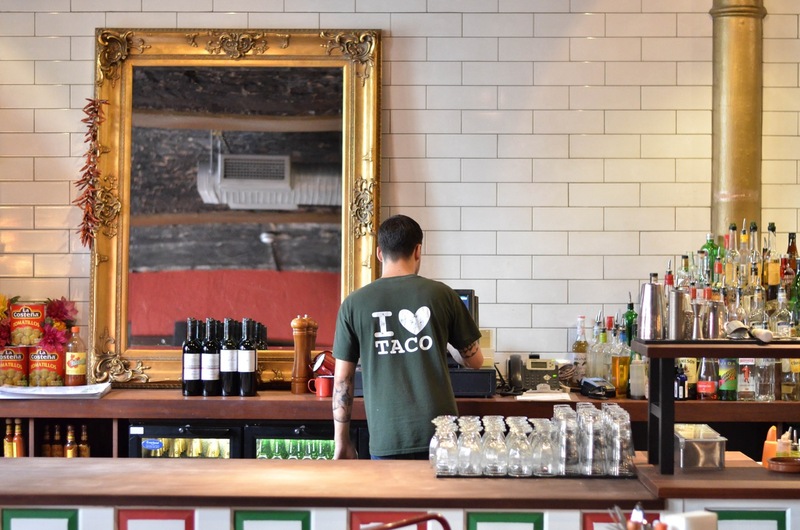 So when it comes to Mexican food, it seems as if there is only Juan place to go? (apologies for the awful pun). 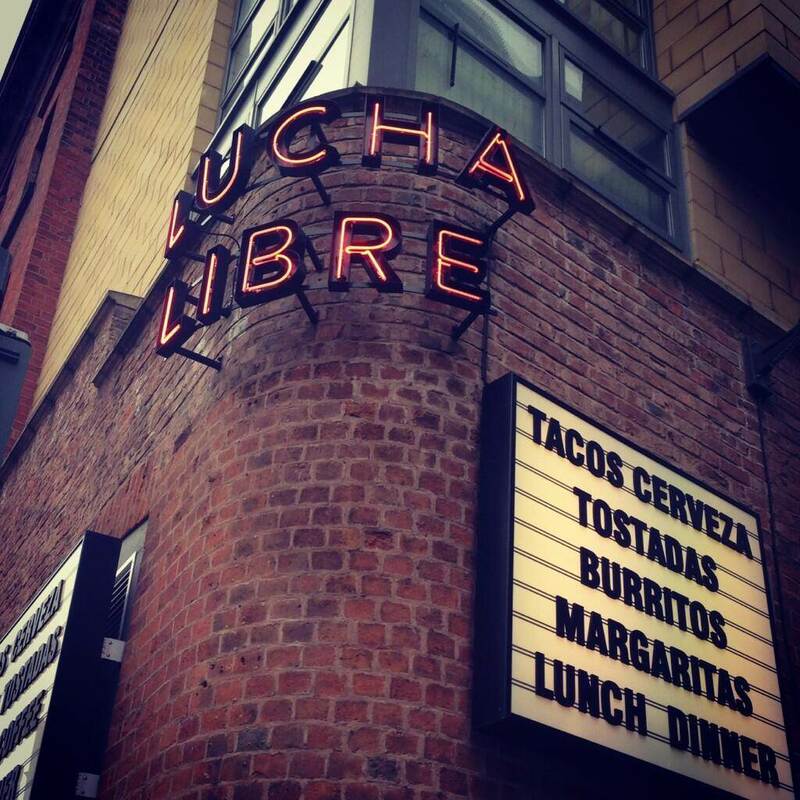 Why spend hours on a plane flying out to Mexico when Lucha Libre have done the hard part for you and brought Liverpool a pure Mexican experience for an inexpensive price. 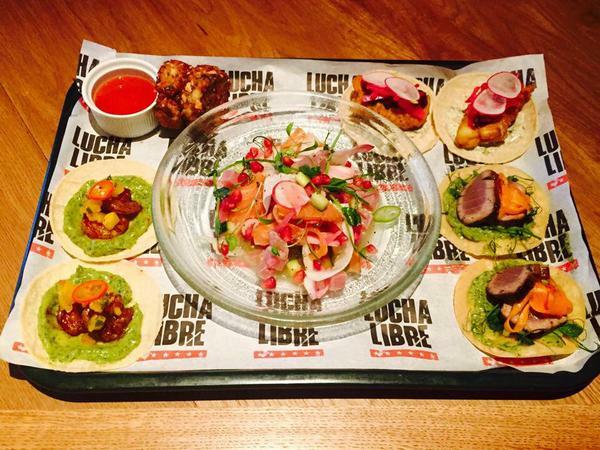 Make sure you ‘like’ them on Facebook, give them a follow on Twitter and visit their website http://www.lucha-libre.co.uk/ to have a look at the menu before you pop down or keep up to date on their weekly deals. 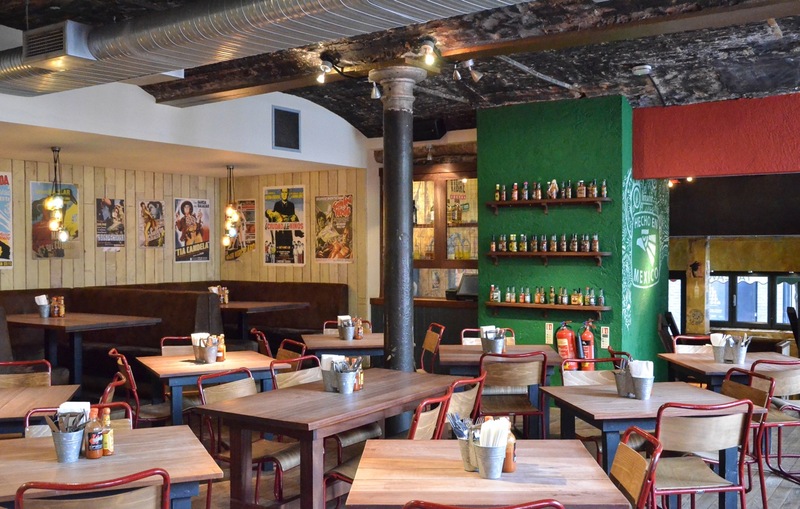 Head down any day of the week and get 10% off food with the card.